Cheese, such as milk, can let the taste of food mammals reflect in, but because of the different processing steps, in particular heating, initial taste is altered. Thus it is not easy to distinguish multiple beauforts, cooked pressed cheeses, except when flora grazing changes in depth as is the case in the high mountain pastures. 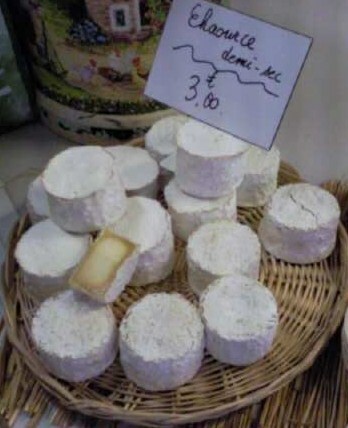 Whereas in lactic curd type cheeses like most Provence goat cheese, the flavors of herbs can easily be provided if raw milk is worked. Many A.O.C. specifications control the food aspect of breeding. Indeed, some foods like silage (fermented hebr or corn) can promote the appearance of unpleasant tastes. The silage use can also lead to the development of gas-producing bacteria which cause cracking in the wheels so that food is often prohibited. Feeding the animals is important for healthy milk capable of being converted but it is not here that are played most of the taste of our beloved cheese. The manufacturing process is largely responsible. First, if the milk is raw, cheese will have a chance to refine the action by combining multiple bacteria initially. Stem different germs are in varying proportions from a farm to another which will give a unique character to the product. These bacteria, yeasts and molds, which produce different metabolites, will taste nuances. When choosing pasteurization and seeding, cheesemakers use mixtures of bacteria to reproduce this phenomenon. This helps to manage tastes more or less complex. Since the farm cheeses are made from raw milk for most, they are often more aromatic cheeses from pasteurized milk produced by manufacturers. However we can work commercially raw milk, it is therefore not possible to oppose farmer and industry on this criterion alone. Also for the same milk may be obtained from different cheeses depending on the chosen method to curdle milk. Curdled milk cheese rennet often give less acidic and firmer than that undergoes lactic curdling example. The fat content also has a very important place in the equation because most flavors bind to fats. This explains why fat cheeses can release more odors than light cheeses. On the other hand, the fat and water modifie the texture of the dough. We see here the importance of managing drainage (the separation of the curd and serum) and refining (drying) of the product as fat and water levels are dependent. Proportionally, the more water the less fat and protein. In this picture chources have quite different taste and texture after 40 days after the usual 3 weeks of ripening. 12 votes. Average: 3.25 / 5.